President Trump’s chief of staff, John Kelly, who has attempted to bring order to a chaotic West Wing, joked Thursday that he is not sure what he did to wind up in his current position. Kelly was Trump’s first homeland security secretary and remained in the job for six months before Trump tapped him to replace Reince Priebus at the White House. 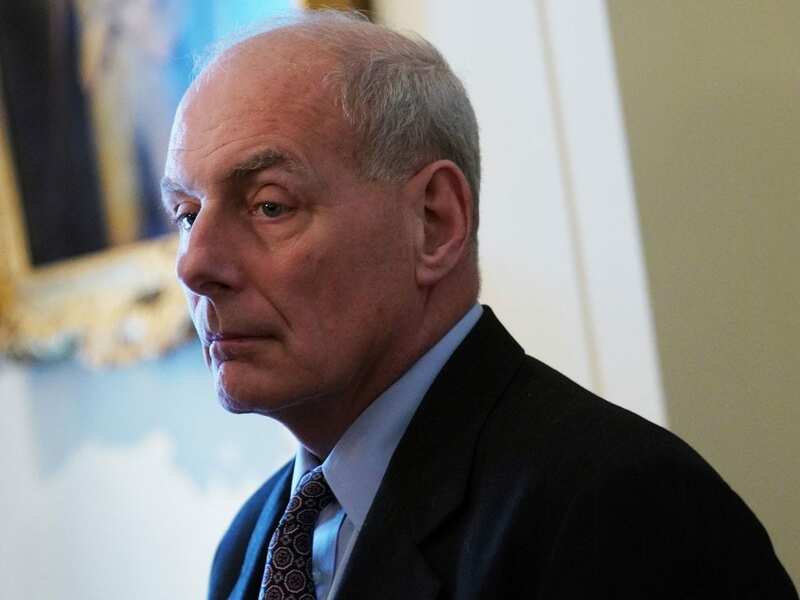 Kelly has been under intense scrutiny following revelations that former White House staff secretary Rob Porter had been granted an interim security clearance even though a background check revealed domestic abuse allegations by Porter’s two ex-wives — allegations which Porter has denied.